The secret to flavorful, perfectly barbecued fish fillets. Barbecuing fish at home is easy, delicious, and costs so much less than going out. Follow these six easy steps using Kingsford® Charcoal and your fish fillets will come out moist, flaky, and delicious every time. 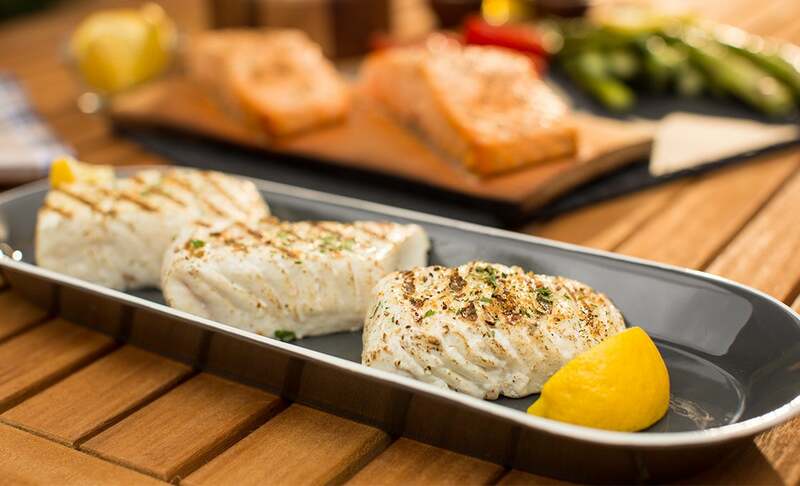 For barbecuing fish fillets, you want to set up a direct heat, [two-zone], medium-hot fire. Fire up a full chimney of Kingsford® Original Charcoal, or light a pile of about 100 briquettes. 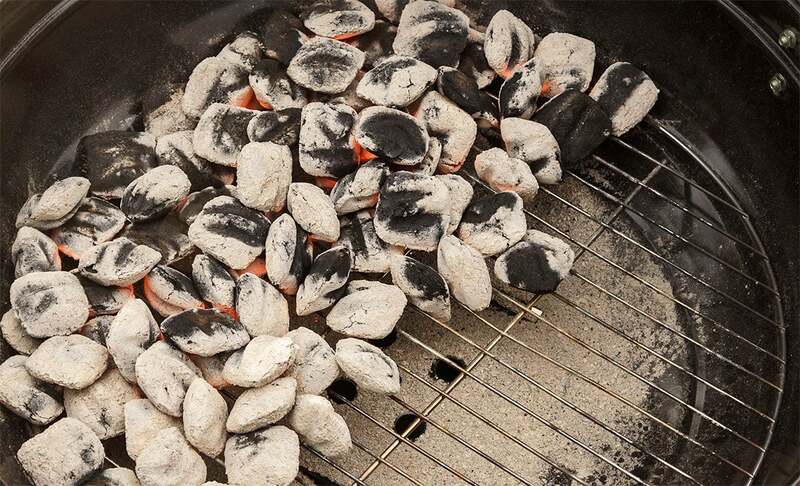 When the coals are ready, replace the top grate and allow it to heat up. The key to barbecuing fish fillets is a very clean and hot grate that’s been well oiled; otherwise the fillets will stick and fall apart. Scrub and oil the grate twice. 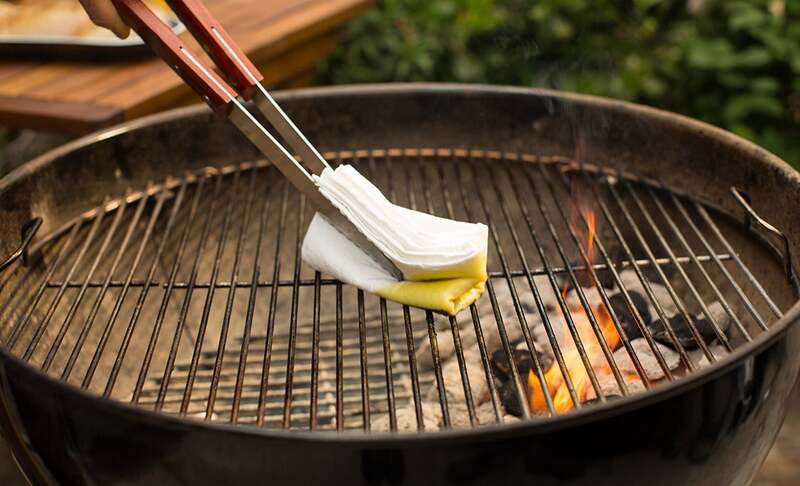 Dip a folded paper towel in cooking oil and oil the entire clean grate using long-handled tongs. Rinse the fillet in cold water and pat dry with a paper towel. Run your fingers over the fish, feeling for bones, and remove them with kitchen tweezers. Very lightly oil both sides of the fillet with cooking oil, which will help prevent it from sticking to the grate. Season the fish as you like. Keep the fish refrigerated until the coals are ready—you don’t need to bring fish fillets to room temperature before barbecuing. If the skin is on one side of the fillet, place the fillet skin-side down first. You need to get a good sear on the fish to prevent sticking. Do not move or turn the fillets for the first two minutes. When it’s time to turn, be sure to use a wide spatula—or two spatulas facing each other—and gently roll the fillet over as opposed to flipping it. Like with most foods, only flip once. If you want to barbecue very delicate, thin fillets, lay some slices of lemon or orange on the BBQ first, instead of putting delicate fillets directly on the grates. Prepare a two-zone fire. Some cooks like to pre-heat the plank first until it starts to crackle and smoke a bit. 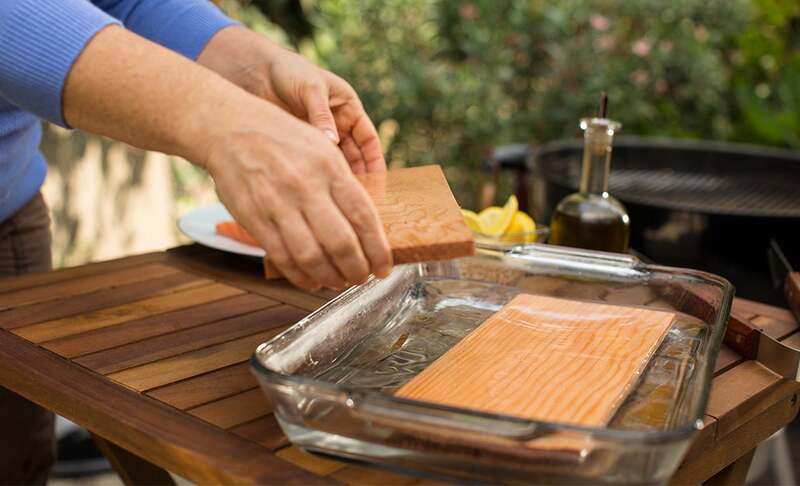 Place the plank with the fish fillets on the cooler side of the BBQ. Barbecue with the lid on for 13–15 minutes, without flipping. If the edges of the plank start to flare up, spritz the plank, not the coals, with a mister. Cook until the edges of the fish are lightly browned or the fish flakes easily, about 63°C. 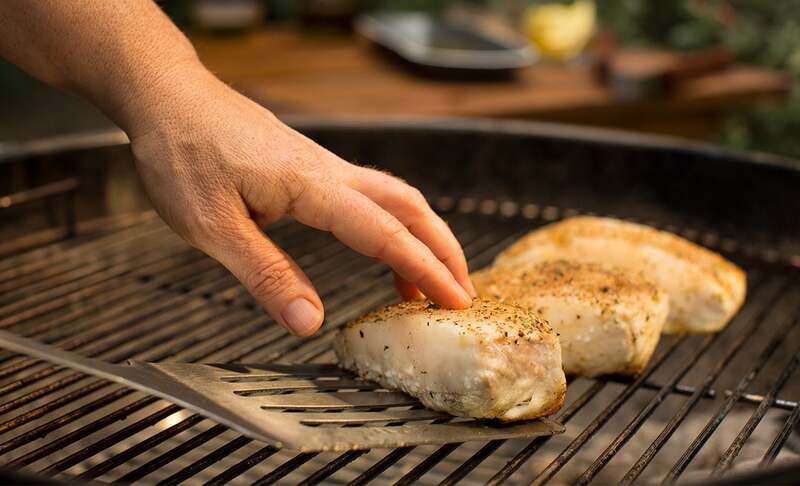 Fish fillets have a very small win¬dow of doneness, so don’t walk away from the BBQ. The time it takes to barbecue a fish fillet varies greatly with thickness, but a general rule is 10 minutes per inch of thickness. Use a knife to check the center of the fillet when it’s nearing done. For thin fillets, when the meat is consistently opaque and flakes easily, it’s done. For thick fillets, you want to remove it when the middle is just slightly translucent, because thicker fillets will continue to cook for a few minutes after you remove them from the BBQ.